Patients with lung cancer are at high risk of developing serious complications when infected with seasonal influenza. Although seasonal influenza vaccination produced good serologic protection and no observed short-term toxicity, it was associated with increased rates of immunologic toxicity in patients with lung cancer receiving PD-1/PD-L1 immunotherapy blockade. Patients with cancer experience higher risk of developing serious complications when infected with seasonal influenza. 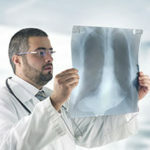 This is particularly pronounced in patients with lung cancer, as these patients often have preexisting lung disorders. Immunotherapy has become part of standard clinical treatment, raising concerns about the safety of influenza vaccination in patients undergoing immunotherapy. Inhibition of PD-1/PD-L1 could cause an excessive immune response in patients who receive the vaccine. Researchers examined 23 patients with lung cancer from 2 hospitals in Switzerland. These patients were undergoing PD-1/PD-L1 inhibition and received a trivalent influenza vaccination between October 2015 and November 2015. The partners of the patients were vaccinated and included in the analysis as an age-matched, healthy control cohort. Most patients received PD-1 blockade for at least 6 weeks prior to vaccination. More than half of patients (52.2%) experienced immune-related adverse events. Approximately one-quarter of patients (26.1%) experienced severe grade 3 or 4 immune-related adverse events. The general rates of adverse events at these hospitals is 25.5%, and grade 3 or 4 adverse events occur at 9.8%, suggesting that the vaccination induced an increase in adverse events. Researchers suggested these results should be studied in a larger population of patients. 1. Rothschild SI, Balmelli C, Kaufmann L, et al. Immune response and adverse events to influenza vaccine in cancer patients undergoing PD-1 blockade. Poster presented at: European Lung Cancer Conference; May 5-8, 2017; Geneva, Switzerland.